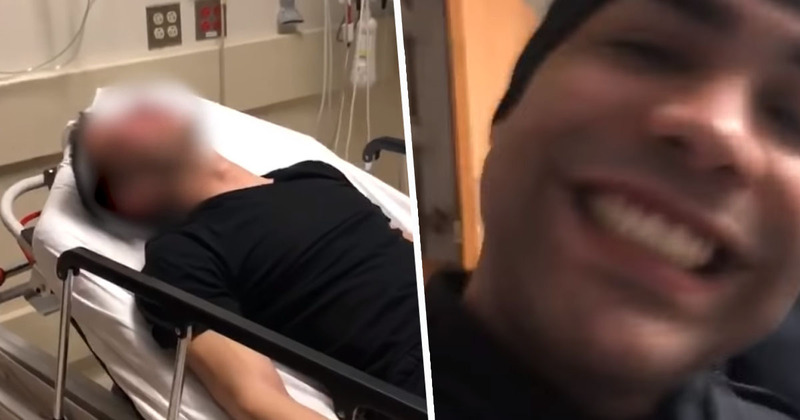 Shocking footage has surfaced showing the moment a dirty cop slapped a suicidal patient lying in a hospital bed. The police officer from Paterson, New Jersey, will go to prison for more than five years after admitting to striking the man in hospital and selling drugs while on duty. Ruben McAusland, 27, pleaded guilty to selling marijuana, heroin, powder and crack cocaine he stole from a crime scene, NJ.com reports. McAusland was sentenced on Wednesday (March 27) for the drugs charges as well as the assault. The disgraced officer claimed the incident happened because he lost his temper. 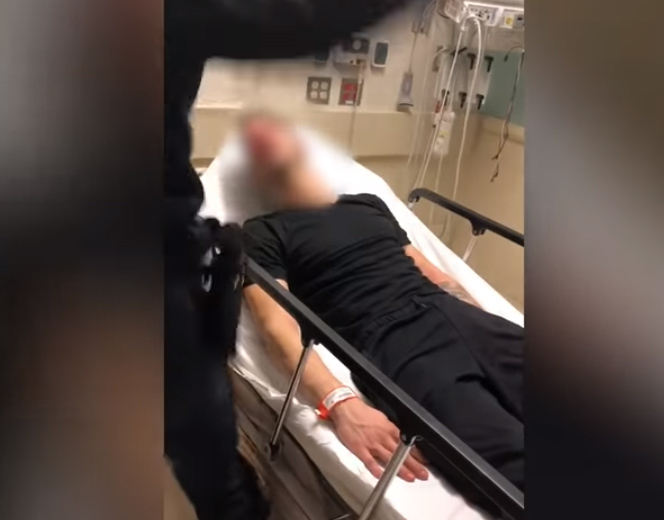 The man attacked in the video was taken to St. Joseph’s Medical Center by the fire department after attempting suicide on March 5, 2018. US Attorney Craig Carpenito said McAusland first met the man, who was in a wheelchair, in the hospital waiting room. McAusland is said to have pushed and punched the man in the face. Later, in the man’s hospital room, McAusland put on a pair of rubber gloves and struck the man twice in the face with so much force he received multiple facial injuries and required surgery for an eye injury. The officer who shot the footage, Roger Then, is awaiting sentencing on charges that he filmed the assault on his phone and falsified reports to hide the attack. McAusland will also face three years of supervised release and must pay $32,892 in restitution. Through prosecutions like this one, police officers like McAusland – who dealt drugs, stole from a crime scene, and viciously attacked a person who sought help from the Paterson Police Department – are removed from positions where they can violate the public trust and deprive others of their civil rights under color of law.